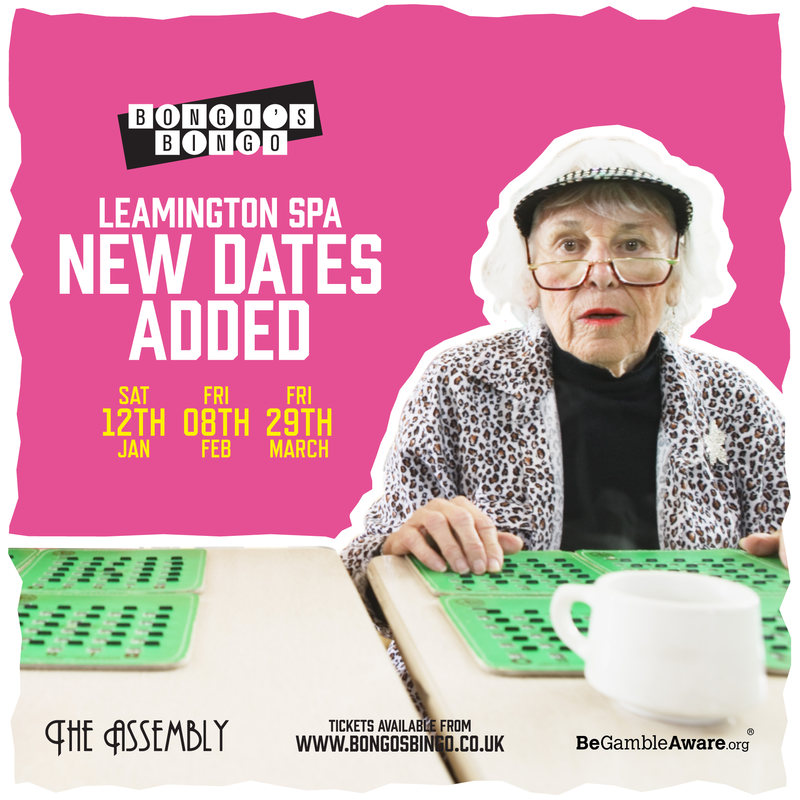 Start Time: 5:30 p.m. | Last Entry: 07:00 p.m.
First Game of Bingo: 07:30 p.m.
Bongo's Bingo are back at The Assembly, Leamington Spa for our first 3 shows of 2019. Big cash prizes, $hit prizes, awkward dance offs, rave intervals and more! You must tick at least one box for ticket type "EARLY BIRD / BONGO'S BINGO LEAMINGTON SPA: 12/01/19" to proceed to checkout. We strongly recommend ordering both the 'Event Ticket' and 'Gambling Stake' to get the full event experience. You must tick at least one box for ticket type "GENERAL RELEASE / BONGO'S BINGO LEAMINGTON SPA: 12/01/19" to proceed to checkout. We strongly recommend ordering both the 'Event Ticket' and 'Gambling Stake' to get the full event experience. You must tick at least one box for ticket type "FINAL RELEASE / BONGO'S BINGO LEAMINGTON SPA: 12/01/19" to proceed to checkout. We strongly recommend ordering both the 'Event Ticket' and 'Gambling Stake' to get the full event experience.